The toll from a dam collapse at a mine in southeast Brazil has risen to 134 deaths after more than a week of searches, with 199 missing, authorities said Monday. "After a while, because of the decomposition of the bodies, it becomes impossible to recover the remains. But until that moment comes, even if we have to stay four, five or six months, the fire offices will work without stopping," he said. That 2015 incident, close to the town of Mariana, had a lower death toll of 19, but was considered Brazil's worst environmental disaster because the mining waste released ravaged whole ecosystems along hundreds of miles (kilometers) of waterways. President Jair Bolsonaro, in a statement read to Congress as he recovered in hospital from abdominal surgery, said excessive regulation of Brazil's mining industry was partly to blame for the Brumadinho dam collapse. 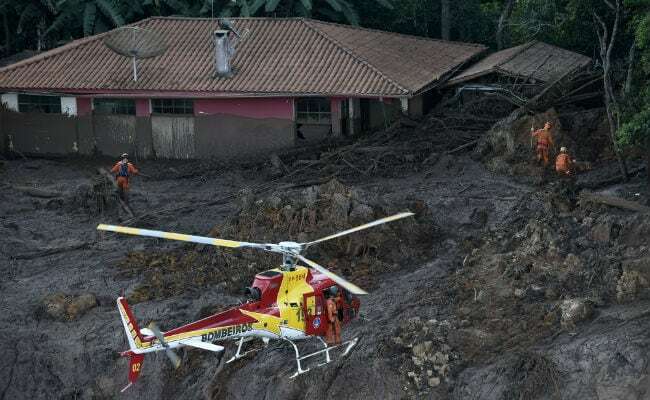 "The government has dozens of overlapping monitoring structures which stop people producing but didn't prevent the Brumadinho tragedy," he said. "It's not with bigger government that we are going to solve these problems, but with more efficient government," he said.